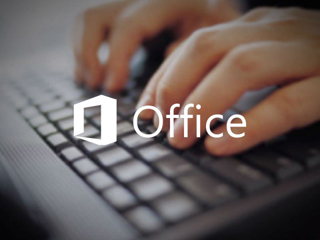 Microsoft Office suites have been in the enterprise since 1989, increasing the productivity level of users, and making it easier to communicate and collaborate. Although the configurations have changed over the years, they typically include bundles of software programs like Word, Excel, PowerPoint, Access and more, depending on which suite you purchase. Microsoft Office Home and Business 2010 is the essential software suite for managing small businesses and working from home. Enhanced tools and features help you run your business, connect with customers, and organize your household more efficiently. Office Home and Business 2010 features new photo video and text effects for creating standout documents and presentations. New communication tools in Outlook 2010 help you stay in touch and organized. Office Home and Business 2010 makes it easier than ever for you to manage things in the office, at home, or in between. Microsoft Office Professional 2013 The first thing you'll see when you open Microsoft Office is a clean new look. But the features you know and use are still there-along with some new ones that are huge time savers. The new Office also works with smartphones, tablets, and in the cloud, even on PCs that don't have Office installed. So now you can always get to your important files no matter where you are or what you're using. Office 365 Business With Office in the cloud, you can work from anywhere with your go-to applications—Word, PowerPoint, Excel, Outlook, OneNote, and Publisher. Your recent documents are always right up front, so you can start working fast. And with 1 TB of online storage with OneDrive for Business, you always have the files you need, and you can easily share them.